Residents show up at Dallas police headquarters to pay their respects to the officers who were shot in downtown. Two police cruisers outside Dallas police headquarters are covered in flowers, cards and stuffed animals in an impromptu memorial. Mayor Mike Rawlings visits the memorial with his wife, Micki. Reporters obscure Mayor Mike Rawlings as he kneels before the memorial. The sides of police cars are plastered with handwritten notes and signs. A police belt hangs over the sideview mirror of one of the cars. A woman mourns in front of the memorial. Notes on the police cars express an outpouring of support for the officers. The cars were covered with flowers Saturday afternoon, as well as candles and handwritten notes of appreciation. Dallas Mayor Mike Rawlings stopped by to thank officers. He told reporters that it was time to decide whether the attack would be a useless act of violence or a catalyst for change. He's heartened by the outpouring of support. "That’s what makes you hopeful," he said, "that we can move from senseless absurdity, something that’s like a Camus novel, to something that has redemption and hope in it. And that’s ultimately what we need to do." On Facebook, Rawlings wrote Saturday: "I visited the Dallas Police Department today and was touched by the support from our citizens. I am proud to be the mayor of our great city, and I am thankful to our police officers who put their lives on the line for our safety. Let's all show our appreciation to police officers for their dedication and hard work." President Barack Obama plans to visit Dallas early next week. 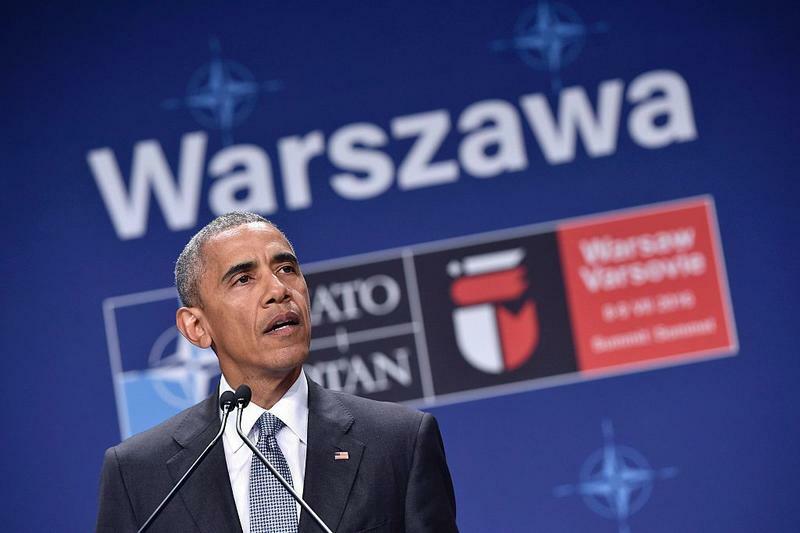 During a news conference in Poland Saturday, Obama said the Dallas shooter, a black Army veteran who was later killed by police, was a "demented individual" who does not represent black Americans any more than a white man accused of killing blacks at a church in Charleston, South Carolina, represents whites. Obama contends that racial relations have improved during his presidency, but he describes that progress in measured terms. Obama says the legacy of slavery, Jim Crow and discrimination cannot be wiped away by any one milestone, whether that's the Civil Rights Act or his election as the first black president. But he says he's tried to get all Americans to listen to each other on matters of race. He says he believes his voice has "been true in speaking about these issues." As the president put it during a news conference in Poland, "We plant seeds. And somebody else, maybe, sits under the shade of the tree that we planted." The Dallas memorial to the assassination of President John F. Kennedy is a closed crime scene to the usual hordes of weekend tourists. Police cruisers still cordon off 20 square downtown blocks where an Army reservist killed five police officers in a sniper attack. Onlookers outside the barricades are mourning the slain officers in a city long tormented by the Kennedy assassination. The ambush Thursday night during a protest march over recent police killings of black men in Louisiana and Minnesota shook even Dallas residents most inexorably tied to Kennedy's death. Among them is Marie Tippit, the 87-year-old widow of the Dallas police officer who Lee Harvey Oswald shot and killed after killing Kennedy. She says she stayed up watching coverage of this week's bloodshed until the "wee hours." Several people around the country have been arrested for making threats against law enforcement in the wake of shootings by police in Louisiana and Minnesota and the killings in Dallas. A suburban Chicago woman is accused of posting a threat on Facebook to shoot any police officer who pulls her over and asks her to get out of the car. Police in Louisiana say a man was jailed after posting a social media video in which he says he wants to shoot and kill a police officer. Police in Bossier say the man made the video while sitting in a car that was behind a police unit at a fast-food drive-thru. And in Racine, Wisconsin, police say they arrested a man who posted calls for black men to kill white police officers and their families. After a deadly week in the U.S., President Obama told reporters that "that there's unity in recognizing this is not how we want our communities to operate." Two deadly police shooting of black men captured headlines, followed by an attack at a protest in Dallas that killed five policemen. After a long night of chaos and uncertainty, the city is finally quiet. The death of a suspect in the Dallas police shootings marks the first time U.S. police officers have used a robot to kill someone, according to Texas and national experts. Hundreds of people gathered in Thanksgiving Square in downtown Dallas for an interfaith prayer service Friday. Five officers were killed and six others injured Thursday night in downtown Dallas after a protest over two recent fatal police shootings. A suspect was reported dead early this morning.